To continue to offer its customers new state-of-the-art technology, Estiko-Plastar recently upgraded its prepress and plate making technologies. One of our main targets is to deliver superior print quality and cost-effective packaging solutions for our customers. We are continuously improving our production and management processes by using the latest technology to fulfill customer requirements for fast and flexible deliveries. 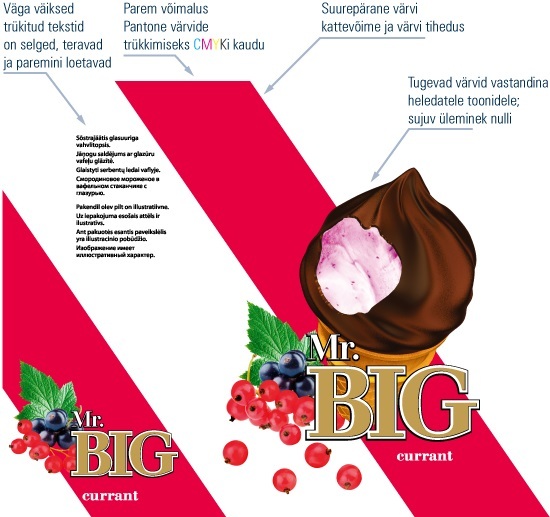 Estiko-Plastar believes in the future of flexography, as flexography has made very sig­nificant quality advances in recent years, mainly due to improvements in the flexographic pre-press section. As a result of the current state of the art technologies, we can compete with offset printing at a high quality level. At present, flexography is very attractive for the packaging industry and it is applied in many new areas, which several years ago were completely closed off from flexography. Get in touch with your contact person at Estiko-Plastar to discuss your ideas, and together we will find the best way to make your ideas a reality!